Thomas: I’ll cut to the chase, I love the Vomero 14. They are also nothing like any of the previous Vomero trainers. The Vomero 14 is a radically new shoe. I’ll start with the upper. 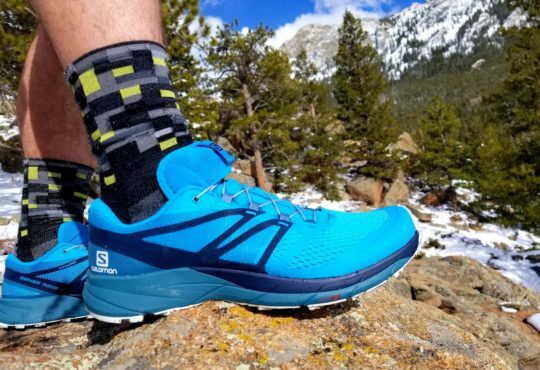 The Vomero 14 has an engineered mesh upper paired with Flywire and a padded heel counter with the flare away from the Achilles. The four separate padding units on the collar secure your heel well. The tongue is thin but adequately padded, between the lacing and the Flywire it is easy to get a comfortable fit. The midsole is where the magic is. The React foam and the full-length Zoom Air unit is a killer combo. The Vomero 14 leans forward through your stride pitched at a 10mm heel to toe differential. The Zoom unit is noticeable especially in toe off. The Zoom gives the shoe a responsive feeling, a pop under the foot. The React foam not only lightens the midsole it gives the Vomero 14 a soft landing with plenty of energy return. 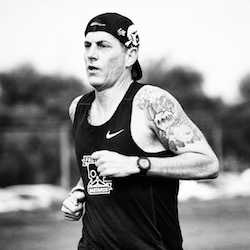 The Vomero 14 glides through my stride, during a 12-mile run a faster pace seemed effortless. The shoe isn’t very flexible, but the toe-off has a springiness. 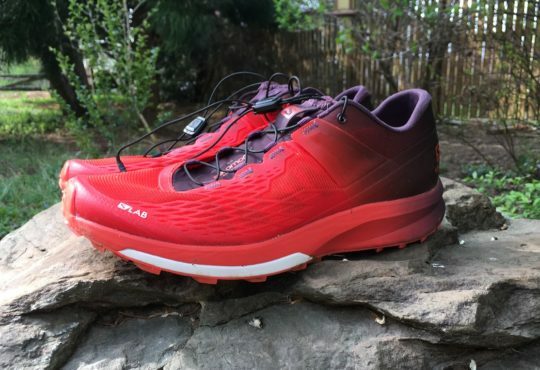 The Vomero 14 is a fun shoe to run in. 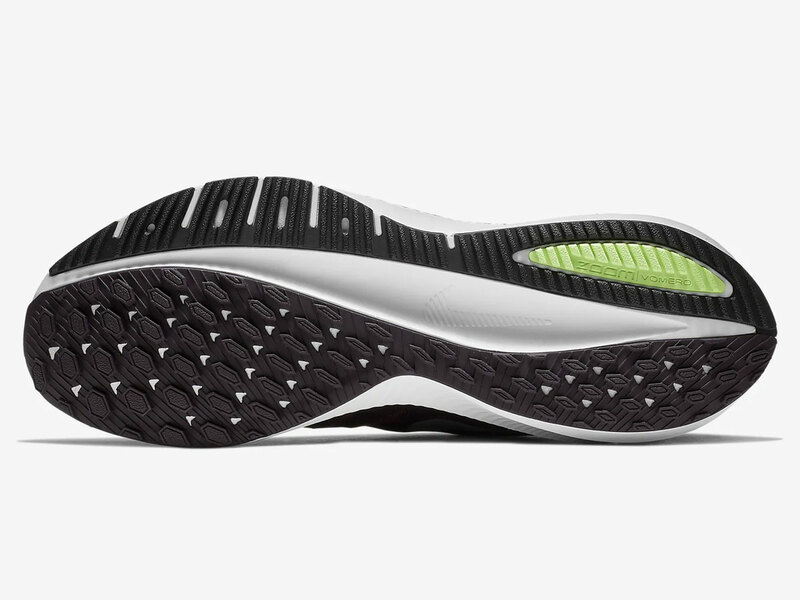 A wide rubber free split on the bottom lightens the outsole. The medial side has sticky rubber, while the lateral side has a durable high abrasion rubber. This outsole combo is smooth and creates confidence inducing traction. Both Vomero 14 and the Vomero 13 weigh around 10.85 oz/308 grams, but the Vomero 14 feels lighter. I can’t explain why, but the shoe doesn’t feel heavy. Maybe it is the React foam with its energy return. Whatever it is, it works. The Vomero 14 runs true to size, there is plenty of room off my big toe. Meaghan: I don’t even know why Nike is calling this a Vomero. This is not a Vomero. This is what the Turbo should have been. This is a Pegasus with extra pop. This is a great daily trainer. The fit of the Vomero 14 is near perfect. 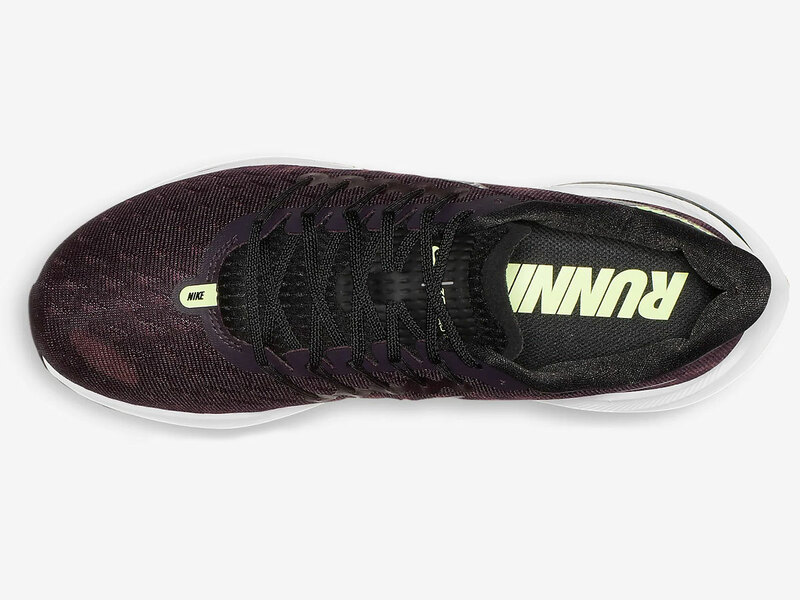 The upper is designed with an engineered mesh, Flywire lacing system, and a couple Nike swoosh overlays. 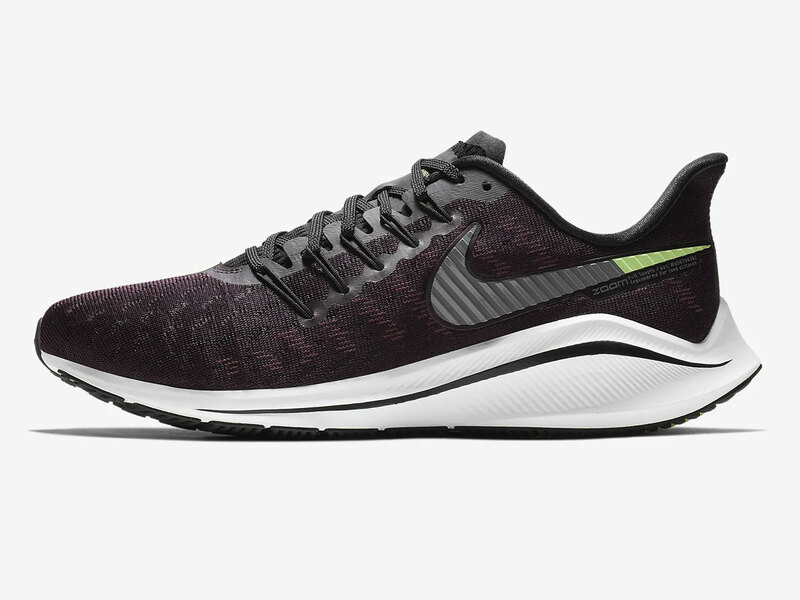 The mesh has a slight stretch, but not quite as much as the Pegasus 35. It’s comfortable and structured. The heel and collar lack the plush padding from the previous model, but you really don’t miss it. The new, firmer padding does a great job of holding the foot in place. In the midsole, Nike added a full-length Zoom Air unit and paired it with React cushioning. The result is a super smooth, yet responsive ride. 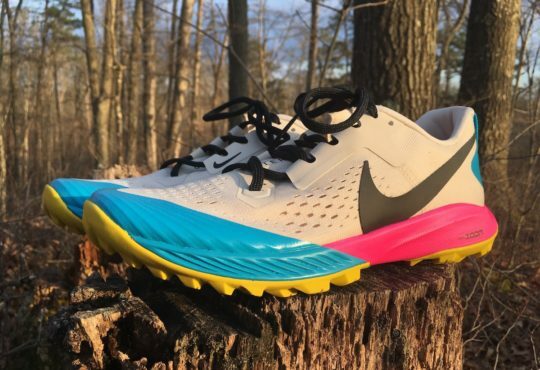 This shoe has some serious pop (not Vaporfly pop, but serious pop). The outsole is covered in rubber – no doubt I will get lots and lots of miles out of these shoes. Thomas: While none of the items I am going to list are deal breakers for me, I think some runners will take issues with the following. First, the 10mm drop in the Vomero 14 is very noticeable. The highly cushioned and stable heel drops down to a thin forefoot that is aided by Zoom Air to give it the necessary cushioning. That leads to the second possible problem for some runners; If you are sensitive in the area right behind your toes, the Zoom air unit is easy to feel. For me, I like it as it gives me feedback on toe-off. For some, it may be an irritation. Lastly, the collar around the ankle dips low but comes back high near the tongue/lacing. The forementioned irritated my ankle, not enough to spoil my positive feelings about the shoe, but again may be an issue depending on how your ankle is set up. Meaghan: Outside of this shoe be a litttttle on the heavy side (my W7.5 weighs 8.25oz) I don’t have much to complain about. Thomas: As I stated at the start, I LOVE THIS SHOE. The Vomero 14 is quite versatile. 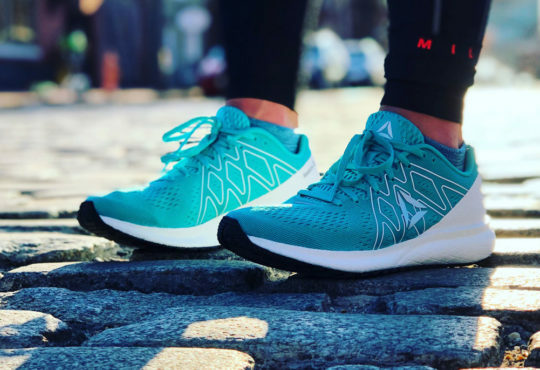 It can handle long runs and feels lively enough for faster workouts. 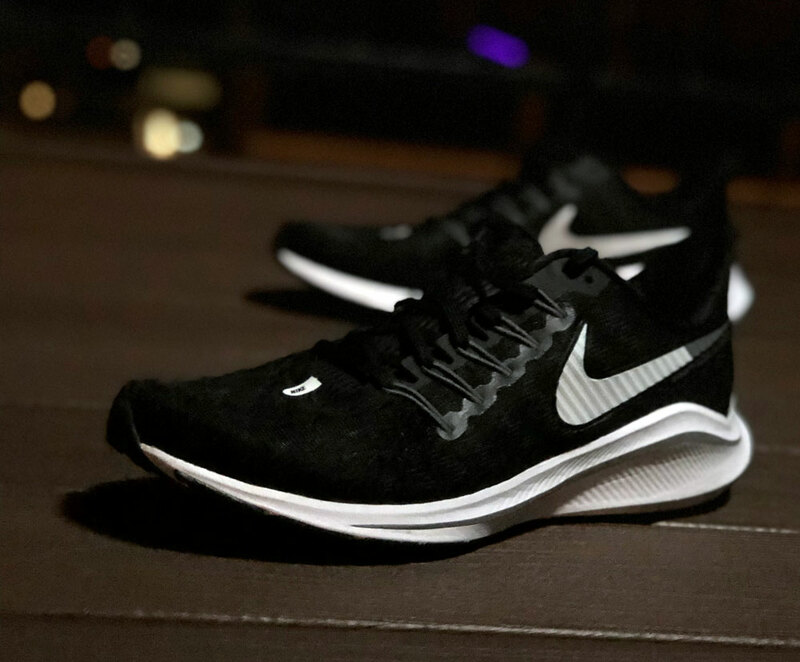 The Vomero 14 blows the Nike Turbo out of the water, is more responsive and not as soft as the Pegasus 35, a better use of React foam than either the Zoom Fly FK or the Odyssey, and is a better platform than the Nike Epic React. I CAN’T BELIEVE I Just said that about the Epic React. 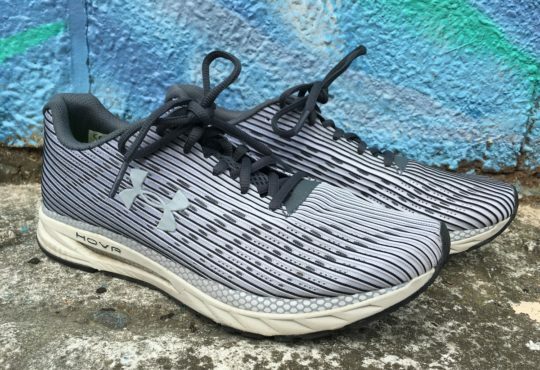 I just gave Epic React my Shoe of the year pick; I don’t have as many miles on the Vomero 14, if it came out earlier in the year, I would probably bump the Epic React down and name the Vomero 14 the champ. The Vomero 14 is the best daily trainer Nike has put out this year, and this has been a big year for Nike. Meaghan: The Vomero 14 is like ordering a Tall coffee and getting a Venti. You didn’t think you needed it, but your day just got a whole lot better because of it. The price is nice at $140. There is more room in the toe box than there is in the Epic React. The cushioning is about equal, but the Vomero is more responsive. I can request the Triumph and see if they will send it. 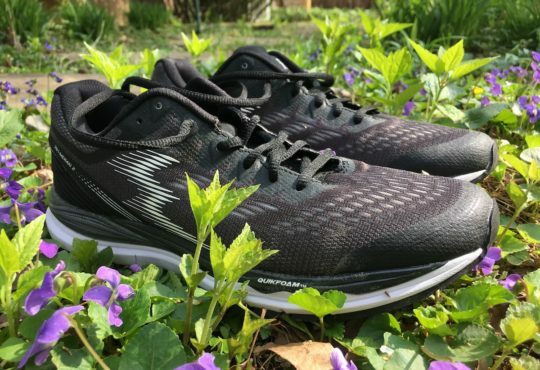 i’m an over pronator but i prefer neutral shoes, will this have enough support for me? i currently use the saucony kinvara 9 if that’s helpful for comparison. If the Kinvara works the Vomero should. The stack is a little higher so it may be a smidge less stable.